In December 2016 at the 17th IACC in Panama City, Panama, more than 1,600 people from over 130 countries had one common call: The time for Justice, Equity, Security, and Trust is now. Today’s polarized politics fuels many evils: Populism and extremism, violence, human rights violations, trafficking and illicit money, environmental destruction, and forced migration. Corruption, in increasingly complex forms, is eroding fair and democratic governance across the world. Violence against activists, journalists, and citizens who speak out against injustice and corruption is on the rise, all too often with impunity. These dangerous trends call on all of us, from north to south, to work still more forcefully towards sustainable development, security, and peace. The UN Sustainable Development Goals (SDGs) guide us in this endeavour, and the fight for better governance and against corruption – highlighted in Goal 16 – lies at their heart. This is the time to turn promises to combat corruption and promote transparency into action. It is time to focus on promises made at conferences and conventions near and far, taking stock of progress and gaps. 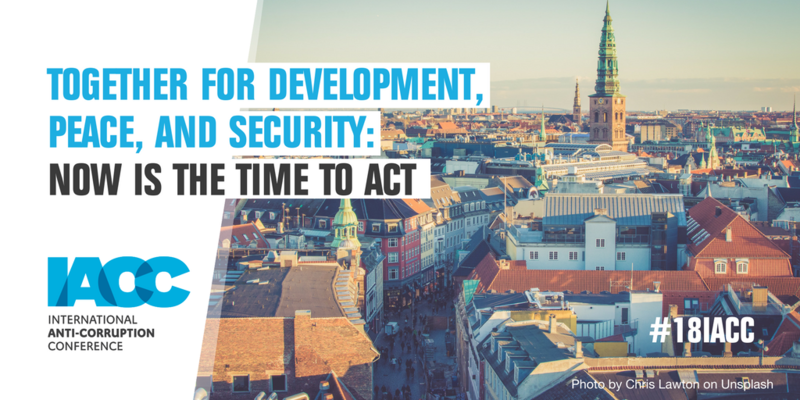 Building on the priorities set out in the Panama Declaration, the 18th IACC in Denmark from 22 to 24 October 2018 will move the pledge of acting together now to concrete action. The IACC Series is the world’s largest independent forum for fighting corruption. The upcoming IACC is hosted by the Government of Denmark, represented by the Danish Ministry of Foreign Affairs. As secretariat to the IACC Council, the IACC is organised by Transparency International with the support of Transparency Denmark. 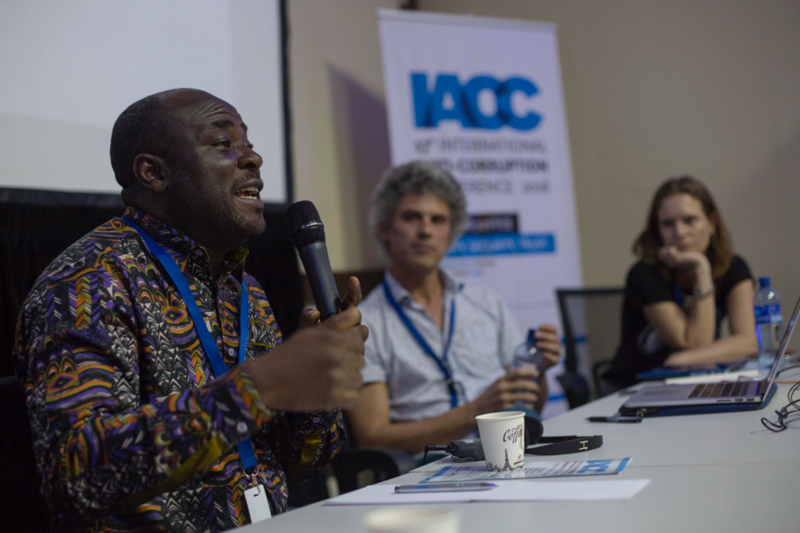 Over 3 days of open discussions and frank debates, the IACC’s goal is to support, engage and empower everyone interested and committed to the fight against corruption and social change. Help shape the global anti-corruption agenda by designing one of 35 workshop and innovation sessions during the event – everyone is welcome. The call for session proposals opens from 15 February until 15 April 2018.